Cannington Golf Centre - Bridgwater College - 19 year old Butterfield claimed his first championship at Cannington Golf Club. 19 year old Josh Butterfield claimed his first championship at Cannington Golf Club after two excellent rounds of 67 and 69. Josh beat David Preece who had set the pace in round one with the lowest ever score at Cannington by a club member. Preece's 65 was one outside the course record of 64 set by Ben Enoch of Cornwall in 2005. Also under 70 after the first round were Taylor Lloyd on 67, followed by John Bagness and Matt Mackenzie on 69. Further back on 72 was the 2009 champion Scott Bellinger and on 74 Ryan Crabb. Conditions for round two were more challenging with a stiff wind blowing and the greens speeding up. With the front runners going out last, tension was definitely in the air and the leader David Preece was caught and overtaken by Butterfield's steady play. Looming back in the pack was Bellinger who was making a charge to retain his title. However, with bogies on 16 and 17, Bellinger's 67 after his 72 from round one was not quite good enough and, as Butterfield's challengers gradually faded away, after 36 holes he was two shots clear from David Preece and three clear from Bellinger. In the Handicap Championship Cannington's junior golfers claimed the top two places leaving Neil Leonard in 3rd place. It was a close call as eventual winner, James Sewell and runner up Matt Mackenzie squeezed out Leonard on a count back. 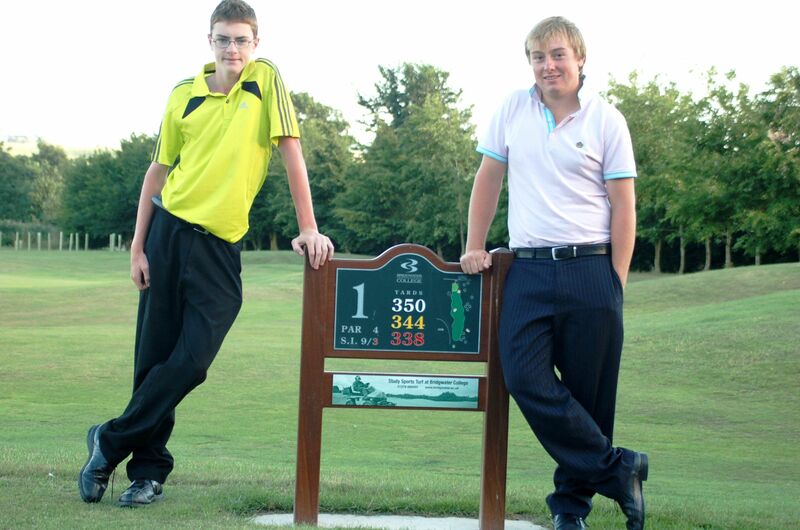 Photo: Left to Right: Handicap Champion James Sewell and Scratch Champion Josh Butterfield. Places decided on count back.